ST. PETERSBURG, RUSSIA. JANUARY 27, 2016. 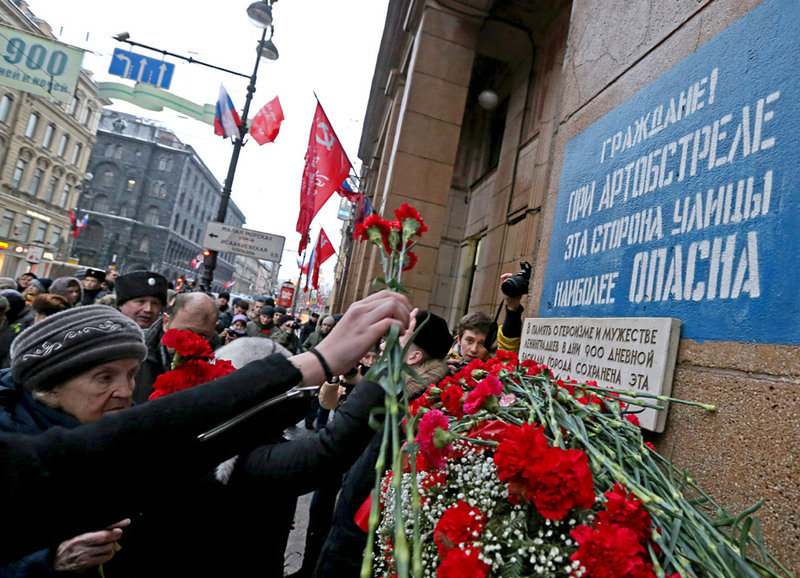 People laying flowers at building No14 in Nevsky Avenue during celebrations marking the 72nd anniversary of lifting the Siege of Leningrad during World War II. In the wartime, there was a sign on the building reading "Citizens! During artillery shelling this side of the street is the most dangerous." Saint-Pétersbourg, Russie. Les habitants de la "capitale du Nord" commémorent le 72e anniversaire de la levée du blocus de Leningrad.